1. Create a flyer or brochure detailing what you need volunteers to do and when you need them. Be as specific as possible and include any incentives for volunteering like free food, T-shirts or media coverage. 2. Build a list of every civic organization, religious institution and school in your community and find out who is in charge of group activities. Try to build as many contact names as possible. 3. Speak to each contact person directly. Tell them briefly about your program or project and ask if you can send them some information to read at their discretion. 4. Follow up with a phone call to each person you sent literature to. Talk with them more about the project and ask if they could help in any way. 5. Keep a running roster of volunteers. 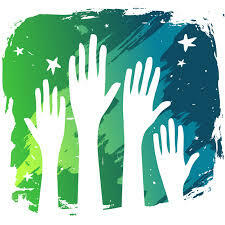 If someone has volunteered once and had a good experience, they are likely to help out again. Talk to these people when you are in need. “National Volunteer Week.“ Richmond Times Dispatch Advertising Supplement. 4-28-08. SeniorNavigator E-QuickTip. April 21, 2008. Retired persons want to be valued for their abilities and expertise, not their age. The demonstration projects used messages that emphasized the vast resources present in the retired population -- such as honor to commitment, work experience, and flexible schedules -- not their birth dates. Seniors also want ownership over their time and commitments. Seniors may be less likely than other volunteers to commit to a task or time that is predetermined and inflexible. Lastly, retirees are drawn to opportunities where they can work with a group of like-minded individuals toward a common goal. Recruitment efforts that establish a group identify and emphasize the overall mission of the project, not just the task at hand, can meet this need. Communities provide different environments for volunteerism and different resources for recruiting. The number one question to ask is "what does this community know about my organization?" The answer can range from "nothing" to "everything" and a recruitment strategy should vary accordingly. Establishing name recognition through the media and other venues is important to communities that do not know much about your organization. Other important questions include: What is the population size? What is the average retirement age? What other senior citizen organizations exist? What types of employment were seniors engaged in before retirement? Know what resources are available to you in the community. Newspapers, weeklies, senior newsletters, cable, TV, radio, and community bulletin boards may be viable options depending on your community. The number one recruitment strategy reported by the Seniors for Habitat projects was positive word of mouth. Other volunteer recruitment techniques that worked:--Speaking at community forums, pre-retirement classes, public service announcements, home and building shows, even barber shops. --Using the media, including newspaper articles, advertisements on city buses, radio spots, letters to the editor, and the World Wide Web. --Distributing materials such as newsletters, brochures, table tents, posters, flyers, bag-stuffers for grocery stores and bill stuffers for public utilities. 1/3 of all volunteers in America are seniors. 15 million seniors volunteer in America. Volunteering can be formal or informal. In Richmond, VA, 444 people donated 91,177 hours of time in 40 community organizations through RSVP.